My colleagues and I went to a Swedish bistro for lunch last Friday, intending to have a small birthday celebration for the colleagues who are born in June. Fika is located among the rows of shop-houses at Beach Road, within walking distance from Bugis Mrt Station. We searched for this bistro online as we were looking for a special place which has vegetarian choices for some of our colleagues who are vegetarian. The cafe has two levels and we were given seats on the 2nd level. The first level’s white concept and bright lights provides a nice ambience for couples going for dinner in the evening. But what I really loved is their 2nd level which gives a homely feeling like living in a small cozy cottage. We spent around $23 per pax while we were there. I felt the food is a little over-priced, though I might go there again just to try their desserts. By the way, plain water is not served free, it costs $0.50 per cup (refillable). 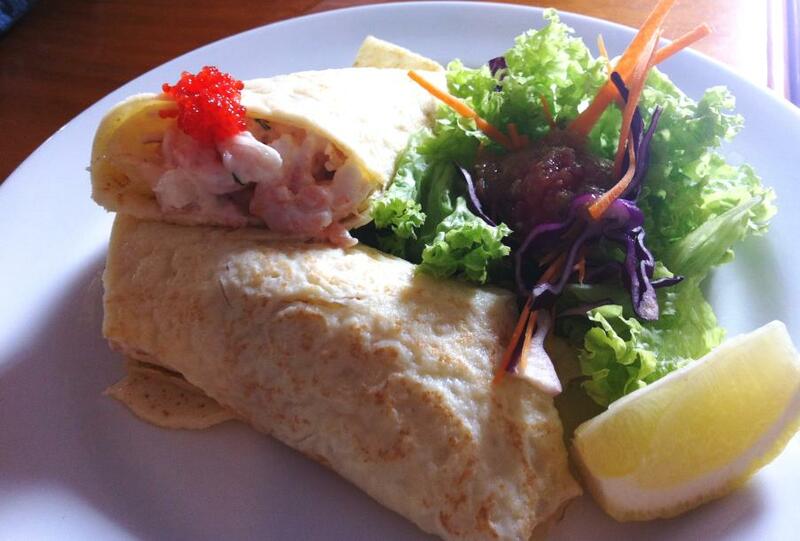 Skagen~ One of the savory crepes that we ordered, consists of shrimps and smoked salmon, served chilled. Even though it is nicely garnished, but the taste is not up to expectation. In fact, it is a little too dry and we could not finish it. We will not order it again. 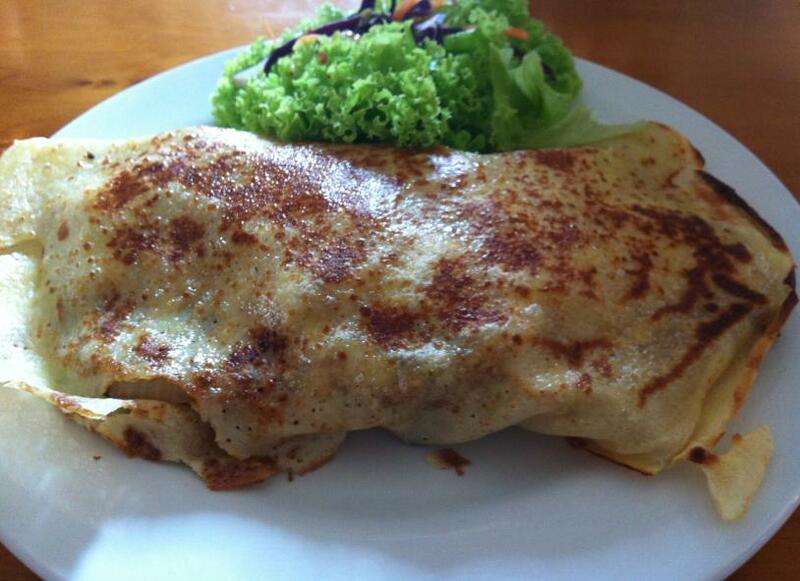 Their roast beef savoury crepe is awesome! It contains piping hot roast beef, green apple, potato, cheese and onions. I didn’t know that the sweet sour taste of green apple together with juicy beef and potato could be such a wonderful combination. However, this crepe comes in quite a large portion, if you are a small eater, you could consider sharing this with someone else. 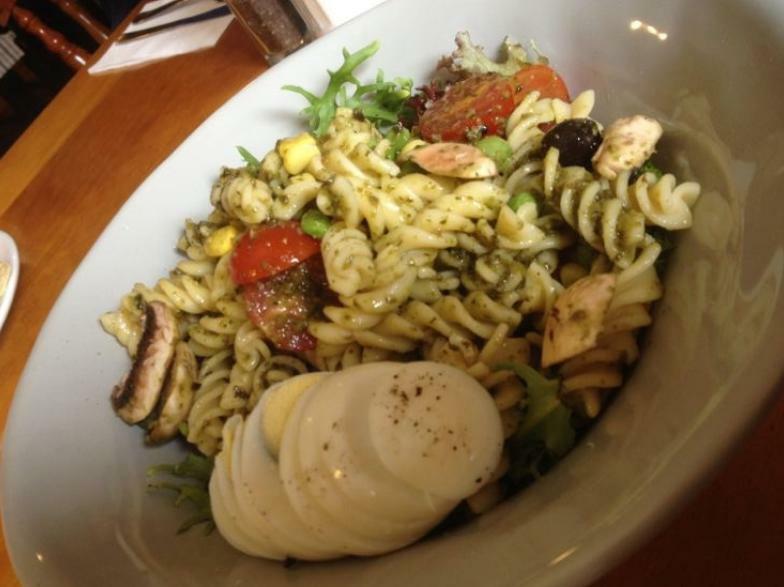 Pasta salad is one of the vegetarian choices you could choose from in this cafe. Tasted good! Swedish meatballs have always been my all-time favorite ever since I first tried them at Ikea in Singapore. 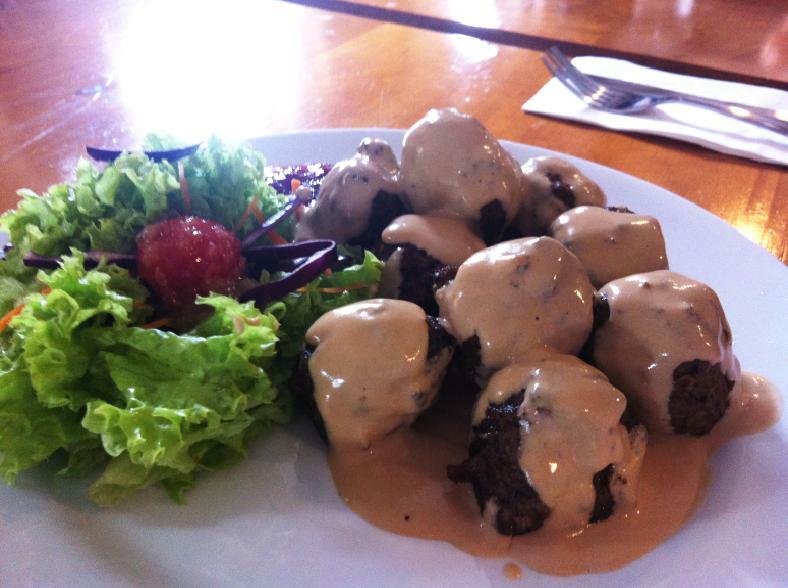 At Fika, the meatballs are drizzled with melted cheddar cheese! 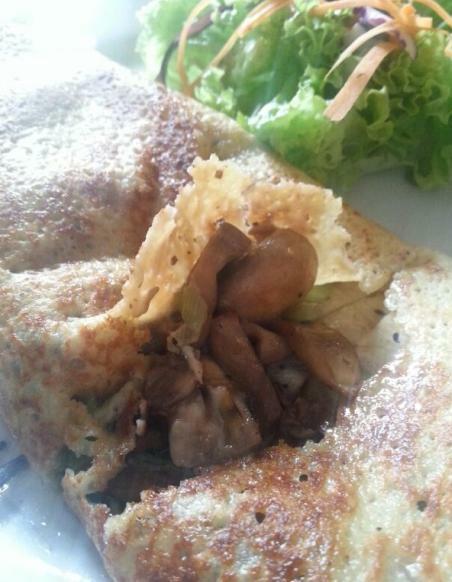 Their mushroom crepe is rather oily and salty. Not one of the recommended choice. 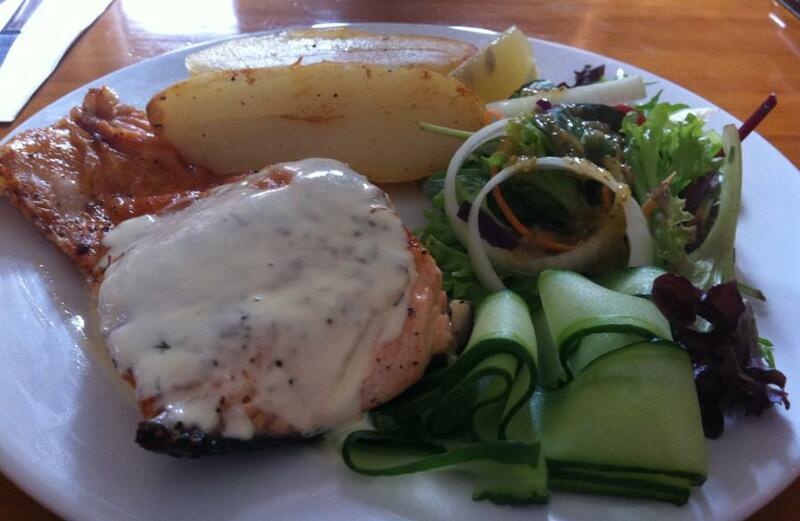 If you are a fish lover, you can try their grilled salmon covered with lemon butter sauce. 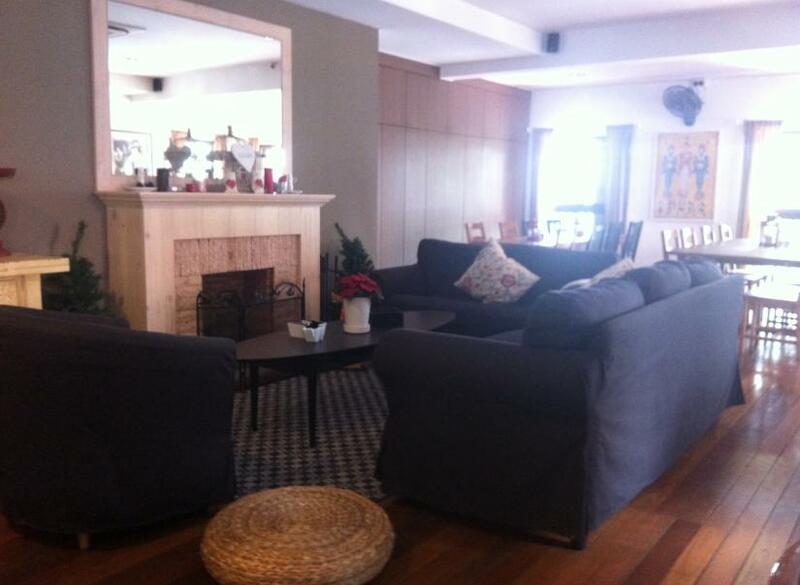 The 2nd level of the cafe gives me that homely feeling with the couch and ‘fire place’. Perfect place to relax and chill with friends. 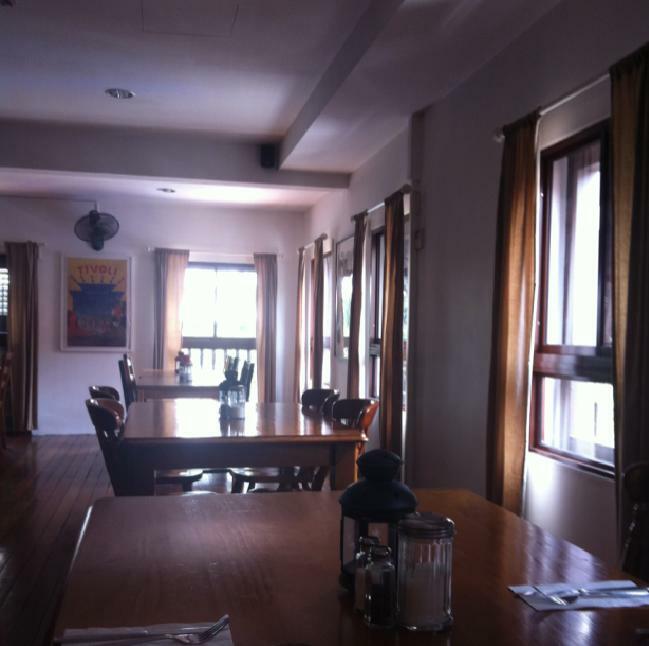 As we went during the afternoon for lunch, the sunlight streaming in through the windows make the whole place look so inviting and comfortable.